Tiger Face Phone Socket - Jungle Big Cats Love, Big Cat Lady, Featuring a Tiger Face that is super detailed with black background, this gift is perfect for all animal lovers, an African safari holiday or crazy wild adventurous friends, family or kids. 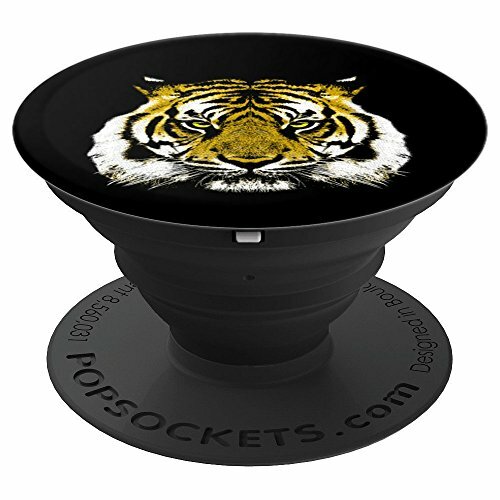 These PopSockets Grip accessories are perfect gifts for all birthday parties, for Christmas, for men, women and children. If you have any questions about this product by Agendum Dabbing Zoo, contact us by completing and submitting the form below. If you are looking for a specif part number, please include it with your message.